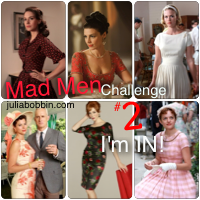 Sew Damned Creative: Mad Men Challenge 2 Complete! Oh how sweet! 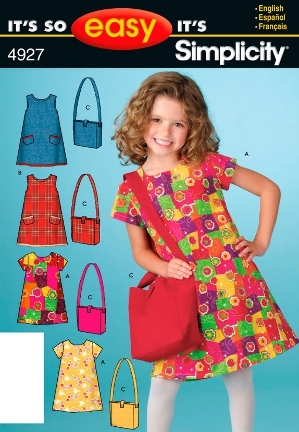 Lovely fabric choices. These will get a lot of wear, I'm sure. Thank you so much for the comment! The girls are wearing these once a week. I plan to make more simple dresses for summer soon. I am new to sewing and cut this pattern out and found that I didn't understand when it said to stitch center back seam to large dot. I am not seeing the large dot. Maybe it's chemo brain from all the treatment's but it's so frustrating.